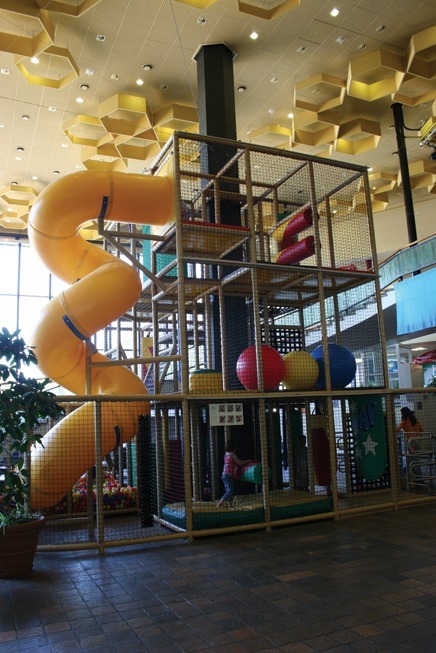 A large and complex indoor play environment at the Freizeit und Erholungszentrum (FEZ) in Berlin. FEZ is Europe's largest non-profit children, youth and family center. It is situated in the southeast of the city surrounded a 100 acre forest park. It has many different types of playscapes, indoors and out - including swimming pools, theatres, nature play and larger fixed play areas.